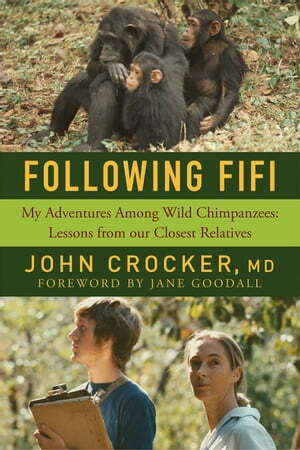 Collins Booksellers - Following Fifi: My Adventures Among Wild Chimpanzees: Lessons from our Closest Relatives by John Crocker, 9781681776132. Buy this book online. An exhilarating quest into a remote African forest to examine chimpanzees and understand the roots of human behavior. As a young student, John Crocker embarked on the adventure of a lifetime, spending eight months in the Gombe forest working with Jane Goodall. He followed families of wild chimpanzees from sunrise to sunset and learned the fundamental behavioral traits of these chimps as they raised their offspring. One chimpanzee captivated him. Her name was Fifi, and she displayed extraordinary patience and reassurance toward her infant, Freud. Upon returning home and becoming a doctor, Crocker found himself incorporating the lessons he learned from Fifi into his work as a father and physician. When he witnessed his young patients rocketing around his exam room, he would picture Fifi’s patience and tacit approval of Freud’s uninhibited and joyful exploration. Crocker shares how his time spent with our closest animal cousins has helped him better understand his patients with ADD, anxiety, and depression, and how primate traits hardwired into our own natural behavior help chimpanzees protect their community, raise their young, and survive. Finally, chronicling his return to Gombe thirty-six years later with his own son, he reflects on how his experience with the chimps has come full circle. An illuminating book that will raise thought-provoking questions about the evolution of human behavior and the importance of patience and strong family bonds, Following Fifi provides a greater understanding of what it means to be human.